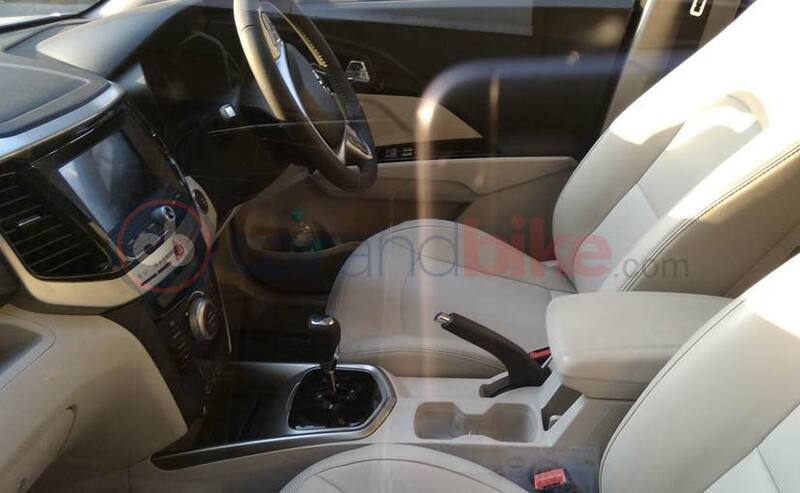 The Mahindra XUV300 spotted with the automatic transmission is the W6 variant, so clearly, the company will make it available on the W6 and W8 variant of the XUV300. It was just yesterday that Mahindra launched the XUV300 subcompact SUV in India with prices starting from ₹ 7.90 lakh (ex-showroom India). The XUV300 was launched in both petrol and diesel variants which came with a 6-speed manual transmission. When asked the company about the chances of an automatic making its way into the car, it said that a variant was in the works. But we think the launch might be sooner than we think. 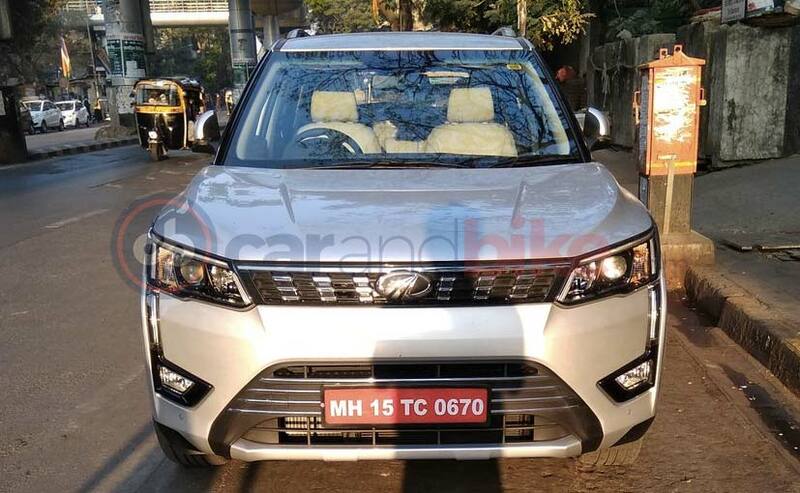 Carandbike reader, Ashwin Rajwade, spotted the automatic variant of the XUV300 doing the rounds of Mumbai a day after the launch of the car in the country. The car spotted with the automatic transmission is the W8 variant, given the fact that it comes with dual tone alloy wheels and leather upholstery. So, yes, the AMT will only be available in the top spec variant of the XUV300. The automatic transmission on the XUV300 looks like an AMT, something similar to what we've seen on the TUV300. So we can conclude that AMT gearbox will be sourced from Magnetti-Marelli. The only two cars to get an AMT in the subcompact SUV segment are the Tata Nexon and the Maruti Suzuki Vitara Brezza. Now, Mahindra plans to make the AMT available in both the petrol and diesel engines; a strategy that's only been adopted by Tata as of now. However, when it comes to pricing, we expect the XUV300 with the AMT to start above ₹ 9 lakh and that will make it more expensive than the Nexon for sure but will probably make it cheaper than the Ford EcoSport automatic. 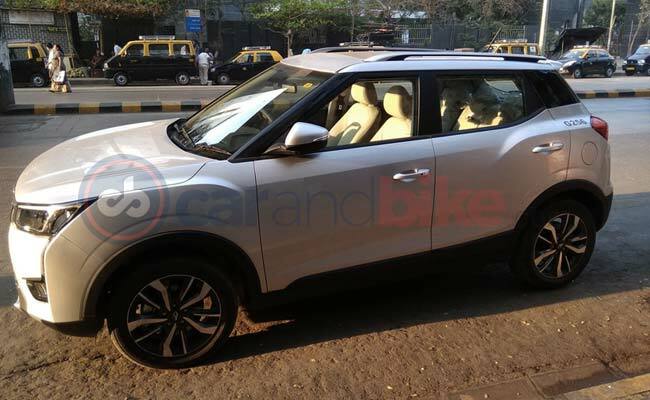 The fact that the car is ready with the automatic transmission is a good sign and Mahindra is probably waiting for the initial response to the manual transmission variant, as it clearly sees that the automatic variant will see the demand surge for the XUV300.